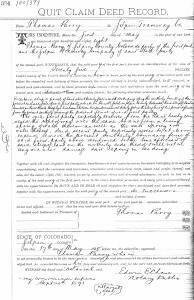 Below are copies of various interesting documents I have found on the Gilpin Tramway and Gilpin County . 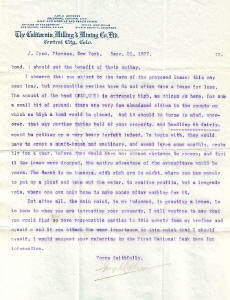 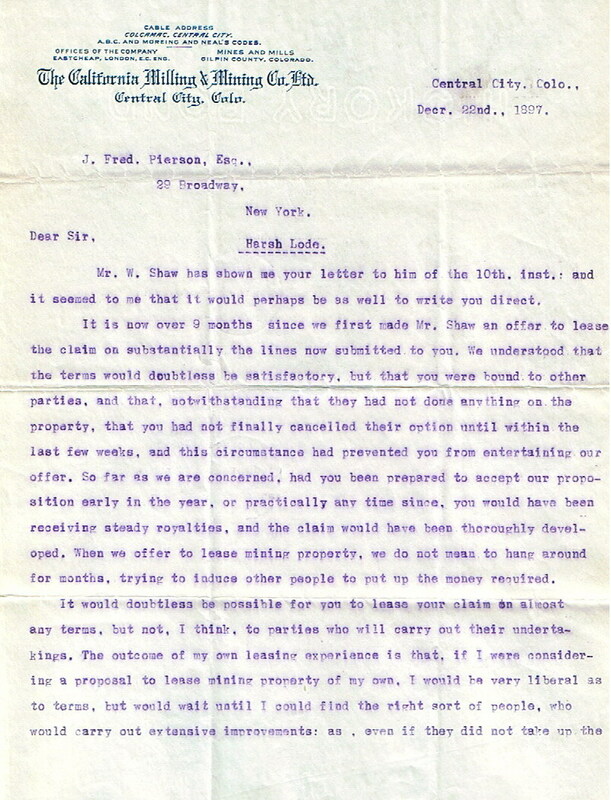 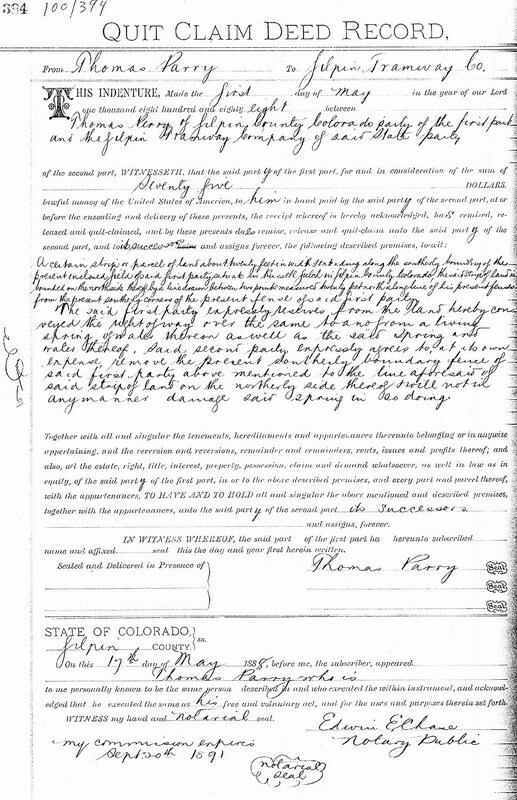 This is a Quit Claim deed that transferred right of way from Thomas Parry to the Gilpin Tramway Company on 1 May 1888. 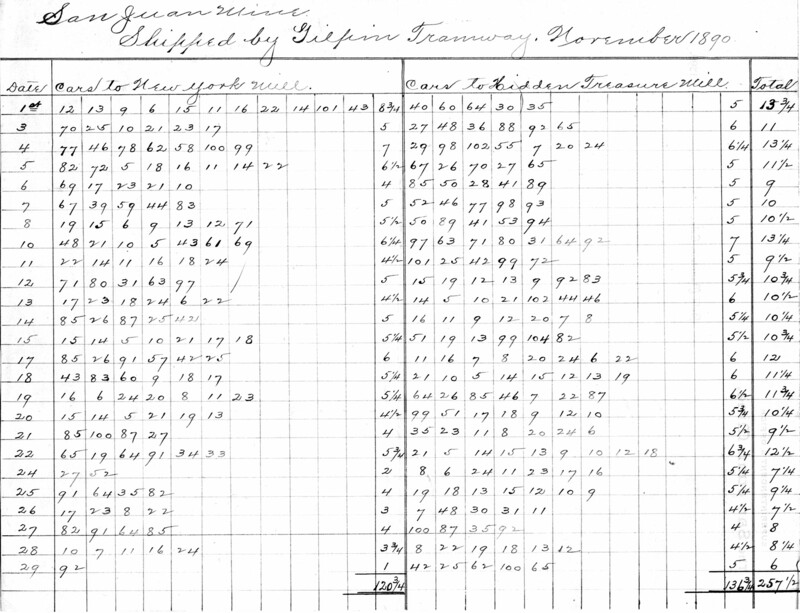 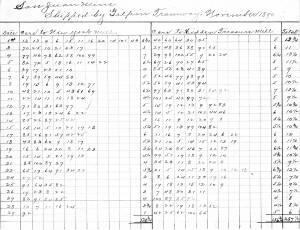 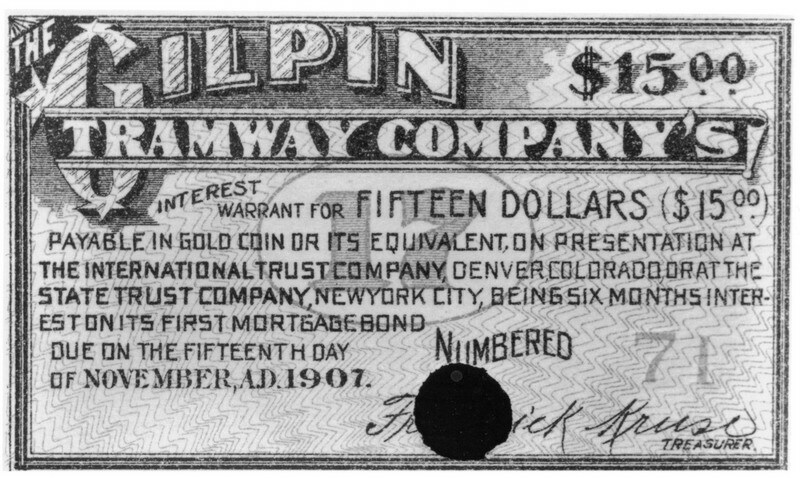 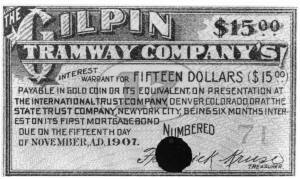 The source is Gilpin County Records. 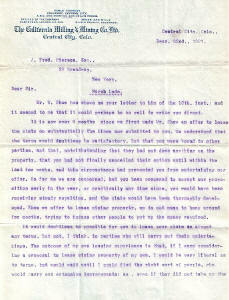 This is a letter from Joseph Collins (?) 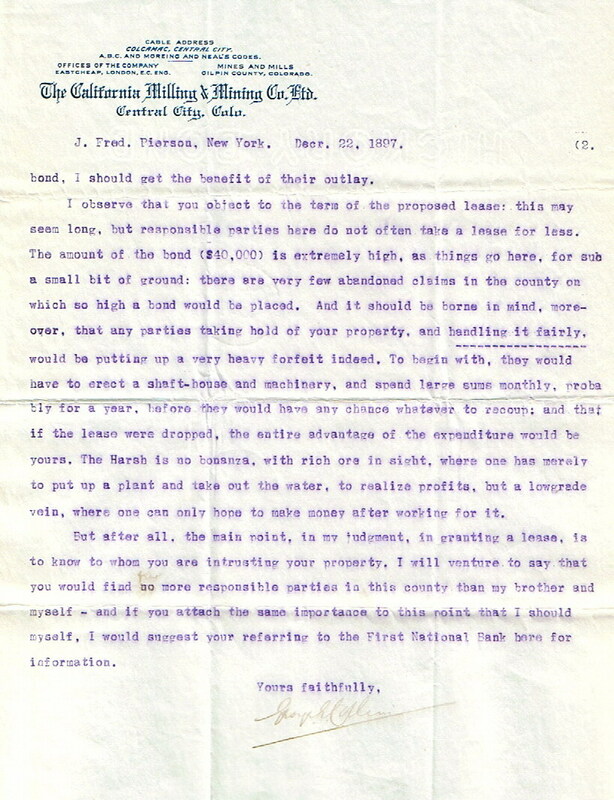 of the California Milling and Mining Company to Fred Pierson of New York involving a mine lease proposal dated Dec 22, 1897.